Overview: Dr. Mograss is a cognitive neuropsychologist with expertise in sleep, electrophysiological (EEG/PSG) methods and neurobehavioral performance. She coordinates research activities in the PERFORM Sleep lab. Dr. Mograss holds a PhD from the Départment de Psychologie of Université de Montréal; Training Certificate in Sleep Medicine, Harvard Medical School; Canadian Child Health Clinical Scientist certification, McGill University; and is registered in polysomnography (RPSGT, American Association of Sleep Medicine). She completed postgraduate training in the Sleep, Circadian & Respiratory Neurobiology Lab from Harvard Medical School in Boston, and in pediatric sleep from the Montreal Children’s Hospital, RI-MUHC, McGill University. Prior to graduate studies, Dr. Mograss worked in both adult and pediatric clinical sleep laboratories across North America. She holds a master’s degree (with distinction) in experimental psychology from Concordia University, and a FRSQ (FRQS) supported PhD in cognitive neuropsychology from the Départment de Psychologie, Université de Montréal. In 2011, she received a certificate in Sleep Medicine from Harvard Medical School, and is registered in polysomnography (American Association of Sleep Medicine). Dr. Mograss has an Affiliate Assistant Professor position in the Dept of Psychology, researcher associate positions in the Concordia PERFORM Sleep lab and Dept of Exercise Science at Concordia University, and in the Centre de Recherche de l’Institut Universitaire de Gériatrie de Montréal. During her postdoctoral studies she received a National Institute of Health awarded postdoctoral fellowship in Sleep, Circadian & Respiratory Neurobiology at the Brigham & Women’s Hospital and Harvard Medical School in Boston to study homeostatic and circadian factors in habitual short and long sleepers. 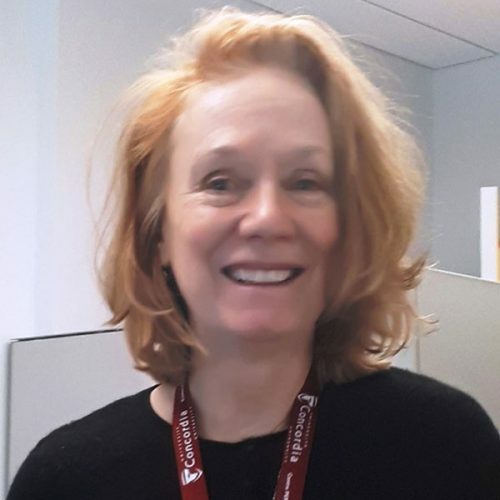 Subsequently, she received the prestigious Canadian Institute of Health Research (CIHR) Banting fellowship to study the effects of sleep apnea on cognitive performance in children at the Montreal Children’s Hospital and the Research Institute of the McGill University Health Centre. She has won several research awards; Montreal Children’s Hospital Clinical Projects Funding Competition, Child Health Clinical Scientist Rising researcher award, Dept of Pediatrics Clinical Projects co-funding award, and the Foundation of Stars Award/fondation des étoiles. In general, my research focuses on individual differences in sleep across lifespan and the influence of internal as well as external factors. It involves how to improve neurocognitive performance based on analysis of sleep structure, assessment of vigilance, and quantitative analysis of the sleep-wake spectral composition. A major part of my work is aimed at understanding sleep “need” and the interface among sleep, cognitive processes and extraneous influences. Mograss M A, Ducharme F M, Brouillette R T. Movement/arousals: Description, classification and relationship to obstructive sleep apnea (OSA) in children. American Journal of Respiratory & Critical Care Medicine, 150 (6 Pt 1):1690-1696, 1994. Jacobs S, Morielli A, Mograss M A, Ducharme F, Schloss M, Brouillette R. Home testing for pediatric obstructive sleep apnea syndrome secondary to adenotonsillar hypertrophy. Pediatric Pulmonology (4):241-252, 1995. Brouillette R T, Jacobs S, Morielli A, Mograss M A, Lafontaine V, Ducharme F, Schloss M. There’s no place like home: Evaluations of obstructive sleep apnea in the child’s home, Pediatric Pulmonology (11) 86-88, 1995. Brouillette R T, Jacobs S, Waters K, Morielli A, Mograss M A, Ducharme F. Cardiorespiratory sleep studies for children can often be performed in the home. Sleep (10 Suppl):S278-280, 1996. *Brazzini-Poisson V, Mograss M, Guillem F, Godbout R, Lavoie M E. Event-related potentials and frontal lobe functioning after total sleep deprivation. International Journal of Psychophysiology; 54 (1-2), 163-164, 2004. Guillem F, Mograss Gender differences in memory processing: evidence from event-related potentials to faces. Brain Cognition, 57(1):84-92, 2005. 1st position in the top 25 jounral articles. Mograss M A, Godbout R, Guillem F. The classic old/new effect: A useful indicator in studying the effects of sleep on declarative memory. Sleep; 29(11) 1491-1500, 2006. Mograss M A, Guillem F, Godbout R. Event-related potentials differentiates the processes involved in the effects of sleep on recognition memory. Psychophysiology 45 (3), 420–434, 2007. Nominated as one of the top 25 jounral articles. Mograss M A, Guillem F, Stickgold R. Individual differences in face recognition memory: Comparison among habitual short, average & long sleepers. Behavioural Brain Research, 208; 576-583, 2010. [Media Interviews – Society for Neuroscience (SFN) invitation for lay abstract, and Agence Science Presse in the University of Montreal, journal forum (April 2010 issue)]. *Brazzini-Poisson V, Mograss M A, Godbout R, Lavoie, M E (in-prep) Event-related brain potentials modulation of frontal and parietal brain activity in response to total sleep deprivation. Mograss MA, Mok E, Constantin E. Evaluating Recognition Memory in Children Referred for Suspected Obstructive Sleep Apnea. Journal of Neurology and Psychology. 2015;3(2): 6. Salimi S, Hatch B, Mograss M, Packwood K, Boucetta S, Weiner O, O’Byrne J, Brandewinder M, Berthomier C, J-P Gouin J-P and Dang-Vu T-T. (in prep) Sleep microarchitecture in chronic primary insomnia. Dang-Vu TT, Hatch B, Salimi A, Mograss M, Boucetta S, O’Byrne J, Brandewinder M, Berthomier C, Gouin JP. Sleep spindles may predict response to cognitive behavioral therapy for chronic insomnia; Sleep Medicine, 39, 2017, p. 54-61. Kotagal P. Ferber RA, Mograss M. Sleep Disorders: Laboratory Evaluation. Relationship of EEG changes to periodic leg movement. In Current Practice of Clinical Electroencephalography 3rd edition John S. Ebersole, ‎Timothy A. Pedley (Eds.) Lippincott, Williams, & Wilkins (USA) 2003, p 803-833.